Free parking is available in the back of the Restaurant off of Cook Ave.
Shanghai Jazz is also easily accessible from New York City by train. The Midtown Direct train (Dover Line) leaves from Penn Station, NY with direct service to Madison, NJ in approximately 60 minutes. 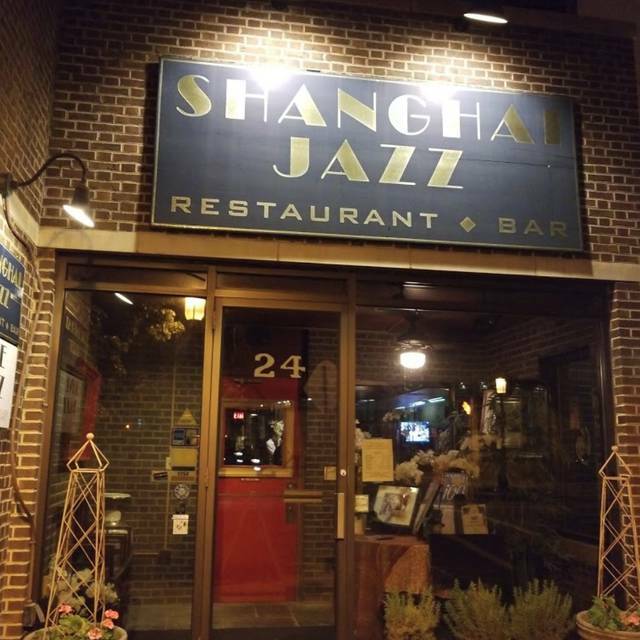 Shanghai Jazz is 2 short blocks, walking distance, from the Madison train station. New Orleans may be the birthplace of jazz, it has found a home at Shanghai Jazz in Madison, NJ. 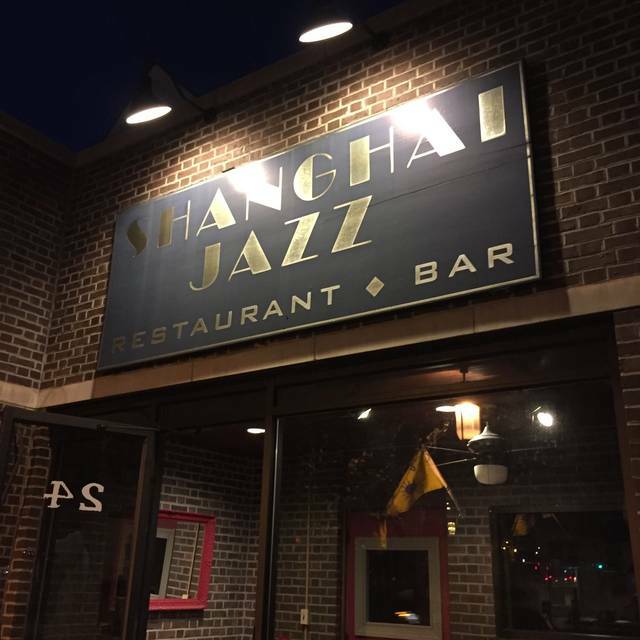 Long recognized among the top 100 jazz clubs in the world, Madison New Jersey’s Shanghai Jazz feeds the soul with timeless, world class, live music and the body with classic Asian cuisine 6 nights a week! Now celebrating its 22nd anniversary year, Shanghai Jazz continues to host the very finest musicians form throughout the northeast – and beyond – to entertain true music lovers in an intimate setting just 25 miles from Manhattan. A world-wide legend, Shanghai Jazz is a local treasure not to be missed. shrimp, scallops, and lobster tail in a spicy garlic sauce spiked with fresh, fragrant basil. 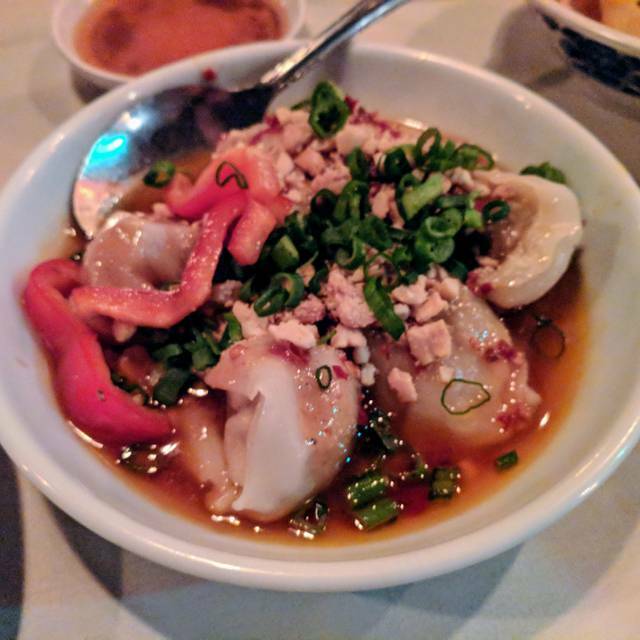 shrimp and scallops are steamed, then covered with a non-spicy black bean sauce. with fresh steamed broccoli. this is a steamed dish served warm, not piping hot. for the discriminating palate: crispy whole red snapper, cooked in our chefs original spicy garlic sauce. the classic, batter-fried, then sauteed with mixed vegetables in a moderately spicy sauce. 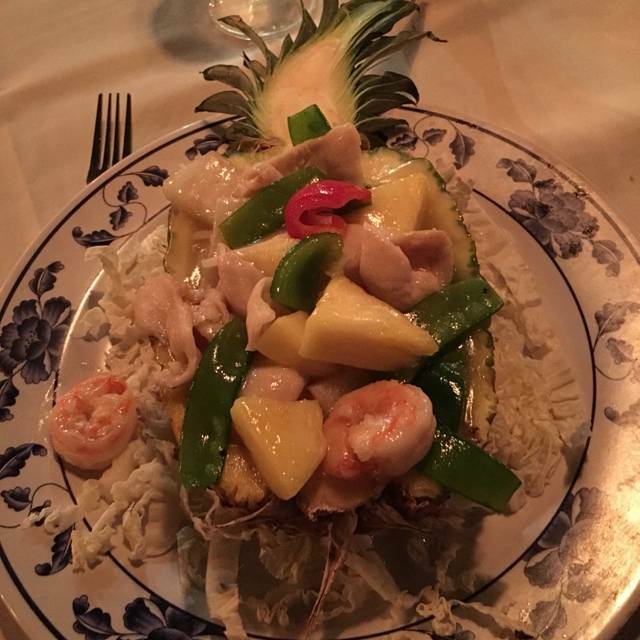 shrimp, beef, chicken, pork, vegetables, and a delectable sauce make for one happy family! young seasoned duckling slowly grilled over an open flame until the honeyed skin is crisp and golden. 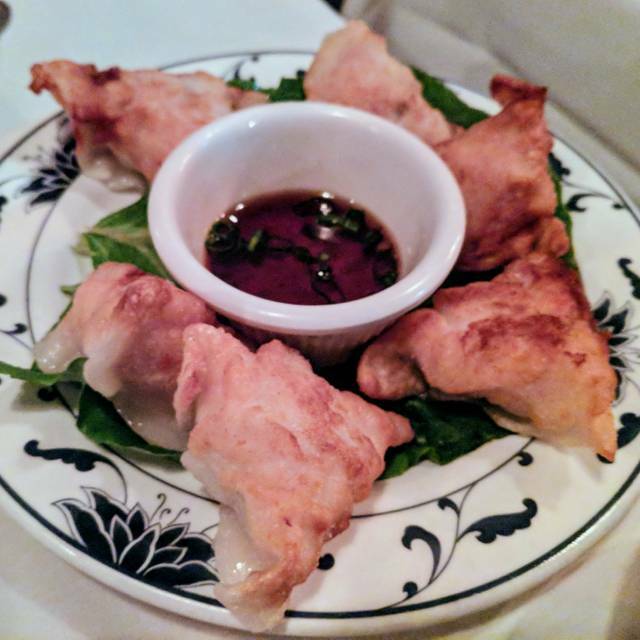 served with our chefs homemade pancakes, scallion brushes, and hoisin sauce. 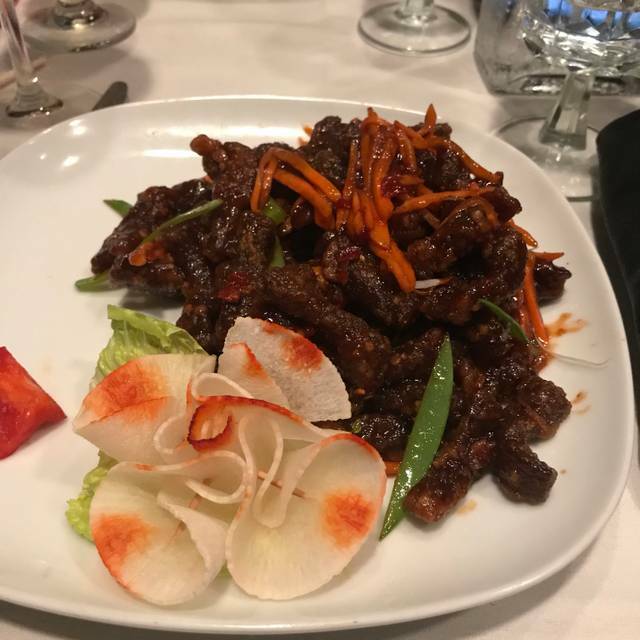 crispy julienne beef dipped in a water chestnut powder and stir-fried in a moderately garlic sauce with fresh carrots and snow peas. can be mild or extra spicy. slices of filet mignon stir-fried with snow peas and shiitake mushrooms in a moderately spicy garlic sauce. can be mild or extra spicy. shredded beef, chicken, and pork compose the three points of this culinary triangle. 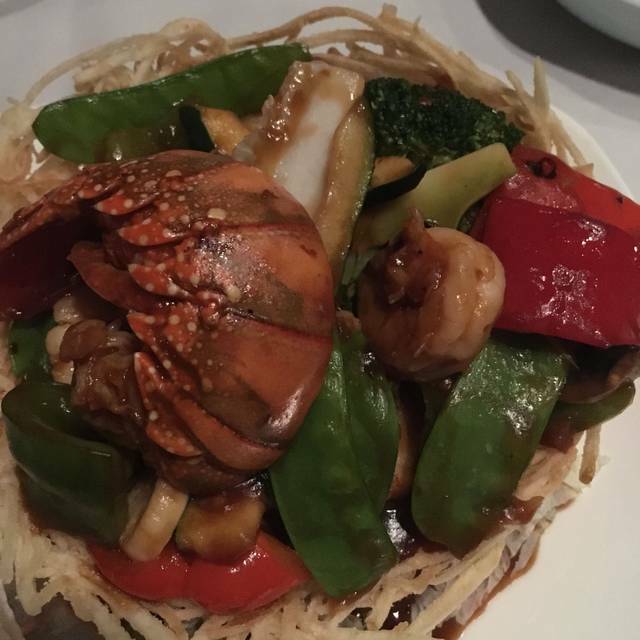 a typical szechuan dish with green and red peppers, bamboo shoots, water chestnuts, in a spicy garlic sauce. 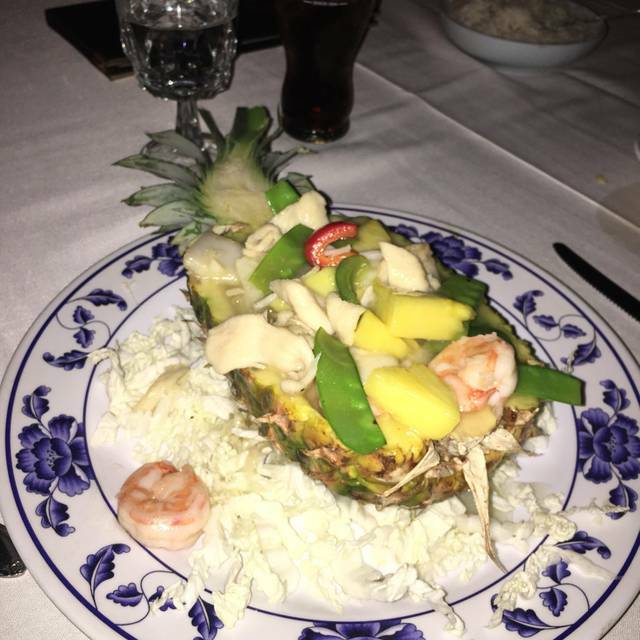 the nature of this dish is such that it cannot be made mild. Great food, warm hospitality - great venue supporting live music in a quiet corner of town. World-class artistic talent in next-door joint. Great all the way around! We had a great time. Band was awesome! We loved the drummer Purdie. Great new basement room. Staff top notch. Thanks again for a great night! Always a great time with great music, food and especially the service! Awesome place. Live jazz with Asian cuisine. Service was great. Good drink and wine list. Make reservations. You will need them. Definitely coming back. Great w friends or a birthday. Right on main st in Madison. Check it out. Went here for the first time for my birthday. It will always be most memorable! Jazz band was excellent along with the food & service! Great time, enjoyed it all. Blue Soul was outstanding. I thoroughly enjoyed my experience at Shangai Jazz. The wait staff were knowledgeable, helpful, efficient, and effective. The jazz music was spectacular. The Matt Kane Trio was excellent. I had the filet mignon for my meal. It was "okay" but I wouldn't order it again. The seafood meals that my friends ate were much better! The ambiance was lovely. I highly recommend the dessert sampler. It was delicious! Paired with the Ferrari Carano Fume Blanc, we were all very happy! Great food, outstanding service, best of all, world renowned musicians. Never been disappointed there. Great place for a group of friends/family. Sometimes the crowd noise is too much when you want to listen but overall very enjoyable. The music makes the evening special. The food was great, service was excellent and the band was terrific!!! We had not been back to Shanghi Jazz for a while and were delighted that the changes made it better. Food was reasonably priced and excellent. Service was fine on a busy night. Wonderful Jazz Group . Great value and great music and easy to get to. Avoids the hassle of NYC. Jazz and entertainment was great. Food was less than desirable. The tables were toooo close together and they were tooo small. Packed in like sardines. The Hot and Sour Soup was about average (C-); we have had much better elsewhere. 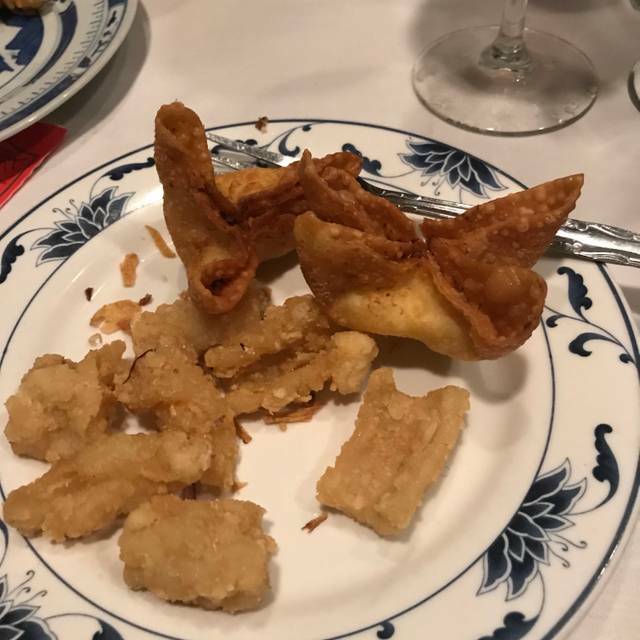 The fried calamari was bland. We chose to leave after that and did not order an entree. Food is Chinese, service is accommodating to allergies, and the Jazz was great. I was 1 chair or less away from the musicians and the volume was fine. I mention since I see this as a complaint in other reviews. I thoroughly enjoyed the performance and we just chose a random night to go. Criticisms: I did feel the audience should have respected the performers by being quieter during the set, but eating and ordering were going on during the performance too. While this is common at Jazz clubs, people are quiet during eat-in cinemas and I would like to see this respect given to live entertainers. I would like to see more vegetarian options on the menu but what I had was terrific (3 chili tofu). I would probably go with higher than the medium spicy I tried this time, but YMMV. About $150 with drinks and tip for this level of performance and food seemed a good value for a Saturday night. This place is the best. Amazing food, service, and the management is great. The owner is very attentive and super personable. Oh yeah and the best tunes around. Nowhere in jersey has a better jazz venue. The extremely high quality of the food and drinks matched the ambiance. I had a nice time appreciating the live jazz music. My favorite was the saxophone. Wonderful artists and wonderful staff! Well done! We had a great time . We love jazz and Chinese food . We will definitely be back soon . One of our favorite nights out in ages. The food was outstanding, the music was fantastic and it was just a really great night. Great music, great food, great service. Highly recommend. 4.) You could tell that a lot of effort was put into preparing and plating the food, but it was kind of average. I’m by no means a sophisticated food critic. 5.) Owner is front and center catering to the needs of his guests. 3.) Service was average. It seemed three or four people were covering a lot of tables and it took a while for them to take orders. 4.) At times the music was a little overpowering since the acoustics are not that great and you are right on top of the band. I’m not sure if this is able to be addressed because it is a small venue. I would recommend Shanghai Jazz if you are looking for a great way to enjoy a night out. If you are searching for a spot for an intimate date night with live music in the background I would pass. The main room was very loud because everyone is packed in close together, the room’s acoustics are not great, and it is more on the pricier side. However, I assume since their is no cover charge on most nights, part of the cost covers the live music. If the owner can afford it, I would recommend maybe pulling a couple of tables out of the main dining room so it does not feel so packed. Also maybe invest in dampeners to help the acoustics of the venue. Always a great night. Lots of positive new changes. The music is always great. I will recommend Shanghai Jazz to a friend. And, as I have done in the past, I will return. My question to YOU is...why did I have to give YOU my AMEX information???? Great night overall! Food took a while to come out- only complaint. Music and food were great. This is fine restaurant that happens to have high-quality jazz 6 nights a week... Those groups who come for work-related parties should at least CONSIDER that there ARE patrons who are there for the music and these groups should therefore keep their celebratory conversations to a level that won't interfere with the MAJORITY of people who are there for the music. OR...... request having the party DOWNSTAIRS where you can raise all the hell you want..... Respectfully, it is terribly unfair to other patrons to sit in the large room yelling across tables and equally unfair to the talented musicians whose LIVES are based on LISTENING...... Musicians have a difficult time focusing on listening to each other playing (which is the essence of music) and separating your extremely disrupting loud conversations and the product they are desperately trying to deliver amongst that noise. If you like Jazz music and good food then this is your destination. Amazing quartet on stage. Really a great evening of entertainment and food. Took my boyfriend for his birthday and had a nice time. Food was ok but appetizers better. Drinks great. Music exceptional, however, we were right on top of them so a bit loud for us. Would not recommend sitting so close if you want conversation. A great place to go for drinks and music. This place is so unique and always consistent and amazing. The food is outstanding. And the entertainment top notch. My wife and I had the best time and each time we go we always wonder why we don’t come back sooner. It’s such a great evening of food, drink and music. Do yourself a favor and go! Wonderful musician and even better food! My husband and I had a spectacular time from start to finish. The music? Top notch. Great sound, terrific all around. We already knew we loved the bar at Shangai Jazz--they make terrific cocktails and the bartenders are fantastic. But this was our first time coming for dinner and we loved it. We shared the dim sum platter--very tasty. Then some sesame noodles. Wow. They were great. For dinner we each ordered off the seasonal specials menu. My husband really enjoyed the short ribs, and I loved the red thai curry. Very good, lots of good-quality shrimp and chicken. Incredibly tasty sauce. And dessert was also delicious--we tried the almond cake and the brownie. Both were outstanding. We're both NYC transplants and can't believe our luck that such an incredible venue with such great food and service is within walking distance to our home. We'll be back again soon. Good food, service & entertainment. Fun experience. The music was amazing. The place nice. Service fabulous. The fish was overcooked but the sauce really good. Great food and amazing bands!. Definitely looking forward to coming back! Overpriced food with mediocre ambiance. On the other hand the service was impeccable , warm and friendly and the drinks were decent. My suggestion is it is perfect place to sit at upstair bar and grab a drink or 2 while listening to jazz and probably getting some dumplings.